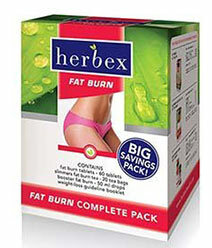 The pack contains 3 products, all of which can be purchased directly from the official Herbex website – based in South Africa. Purchasers who order the three together, as a “complete pack” will save money, but Herbex products are not going break the bank to begin with and taking so many products alongside each other may not wise. The information provided about the Complete Pack is very vague. A box of Fat Burn Tablets contains 60 tablets. 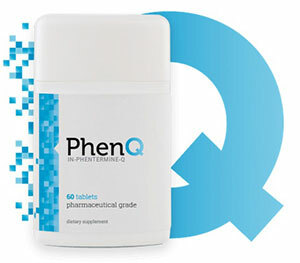 Anyone taking the recommended dose of two capsules per day would find each bottle was good for 30 days. That’s normal for a weight loss product. Slimmers fat burn tea is sold in boxes of 20 or 40. If a box of each size is provided, the tea would last for 30 days as well, but the amount provided is not specified. If a lesser quantity is supplied the tea bags will run out before the tablets. It is also unclear how long the diet drops are likely to last. The ingredient profile is based on 1ml, but 270 drops are needed per day. This sound like a lot. Even if the three 90ml doses did provide 3ml of Booster Fat Burn, the drops would still run out sooner than the tablets. Camellia sinensis extract (126.50mg): Green tea, pure and simple. The antioxidants provided by green tea can boost the immune system and improve overall wellness. 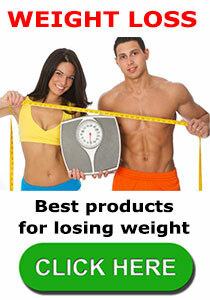 More importantly for a product such as this, green tea is also a proven fat burner. Zingiber officinale (125mg): This is just ginger. Ginger is often said to be a fat burner, but more study is required. Capsicum frutescens (50mg): An extract taken from capsicum pepper. Research shows capsicum has the power to boost weight loss by accelerating the metabolism and encouraging thermogenic fat burning. Eleutherococcus senticosus (30mg): A herb that can be good for boosting stamina and preventing fatigue. Rooibos tea (880mg): Taken from the leaves of an African shrub, rooibos tea seems to be offer a number of health benefits, including accelerated fat burning. Black tea (600mg): In some ways there is very little difference between green tea and black tea because they are both taken from the leaves of the same plant. However, the leaves used to make black tea are subjected to processing techniques that cause them to become darker. This enriches the flavor, but it also appears to rob the leaves of some of their natural fat burning abilities. Cinnamon (120mg): Cinnamon is alleged to have fat burning abilities, but there is a lack of research to support the claims made about it’s ability to help people to lose weight. Zingiber officinale (120mg): Another dose of ginger. The tablets contain it and Booster Fat Burn does too. Astragalus membranaceus (40mg): A Chinese herb that is alleged to be useful in many ways and is even said to be capable of prolonging the life. Garcinia cambogia 60% extract (40mg): A tropical fruit extract that provides hydroxycitric acid (HCA). The ingredient has an excellent reputation as a weight loss booster, but the HCA content needs to be 60% or more. This is the case here, so its inclusion is not without value. Booster fat burn does not contain anything that cannot be found in the other two products. Breakfast – One Fat Burn tablet should be taken with a glass of water. After this, a second glass of water has to be consumed that contains 90 fat drops of Booster Fat Burn. This is followed by a cup of Slimmers Fat Burn Tea. This is prepared by immersing a tea bag in a cup of boiling water and allowing it three minutes to brew. Afternoon – The afternoon dose consists of a glass of water that contains 90 drops of Booster Fat Burn, followed by a second cup of Slimmers Fat Burn Tea. Evening – The fat burning tea is not required during the evening, but another two glasses of water will be needed. One to wash down a Fat Burn tablet, followed by a second glass that contains 90 drops of Booster Fat Burn. Due to the combination of ingredients involved, and the way they products are used alongside each other, we suggest all potential users seek professional medical advice before using Herbex Fat Burn Complete Pack. At the time of this review, the Herbex Fat Burn Complete Pack was only available from the manufacturer’s website and the price was USD$ 17 (R214.19). Juggling with three products per day does not sound like fun. Taking a pill or two, two to three times per day, is much easier; so Herbex Fat Burn Complete Pack does not compare well to competing products. People who use the Complete Pack in the recommended day will likely feel less hungry though. Who wouldn’t when they were forced to fill their stomachs with so much extra liquid per day? It seems unlikely that anyone who feels overly sleepy first thing in a morning would relish the idea of going to so much trouble. The need to “pop to the loo” would also likely to be increased considerably and this may be a problem for anyone who does not spend their days at home (housewives, homeworkers etc.). On a more positive note, there are some good ingredients involved so, bearing in mind the low price, some people may still wish to give this one a try. This entry was posted in Fat Burners and tagged Fat Burn Canada, Fat Burn Testimonials, Herbex Canada, Herbex Diet Pills, Herbex in Pharmacy by admin. Bookmark the permalink.